The Architectural Control Committee for Piney Creek (ACC) is charged with maintaining community standards on behalf of all homeowners. 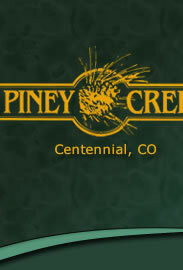 The governing documents for Piney Creek establish the Architectural Control Committee and empower the committee to create reasonable enforcement guidelines for the community. At closing, each homeowner signs a document stating that they have read the governing documents, understand them and agree to abide by them. In general, any exterior alteration to a house and/or the landscape (front or back) requires the submission of an Architectural Improvement Request Form to the Architectural Control Committee for Piney Creek (ACC). Architectural Improvement Request Forms and Guideline documents can be found here. Incomplete submittals are returned to the homeowner, delaying the review process. Most reviews by the ACC take 7 to 10 business days at a minimum, however, the ACC has 45 days to review your request. ACC members from each filing in Piney Creek review most requests throughout the month and do not wait for the monthly ACC meeting. Only in the case of an unusual request will members wait for the next regularly scheduled monthly meeting to discuss the situation in front of the entire ACC. There are no blanket approvals for any exterior addition or alteration to your home or landscape. You must submit an Architectural Improvement Request Form for each addition or change you wish to make. If you have multiple requests, the ACC suggests that you submit a separate Architectural Improvement Request Form for each project. Submissions are judged on their individual merit for your particular house and the surrounding neighborhood. Approvals require the signature of two (2) ACC members. ACC meetings are held the first Wednesday of each month, 6:00 p.m. in the Piney Creek clubhouse. Homeowners are encouraged to inquire about the monthly meeting status by calling the Community Manager, 303-699-8069. Reference materials available to the Architectural Control Committee, the Community Manager and homeowners include: The Piney Creek Community Guidelines, The Piney Creek Architectural Control Committee Methods and Procedures Manual, The Protective Covenants and Declarations for each individual filing and historical records such as minutes from Architectural Control Committee meetings.